Anger the Demon – “ How dare you disrespect me like that”/“Get lost and never show your damn face to me”/“Leave me alone”/“I am surrounded by a bunch of idiots”- Sounds familiar? These are few common expressions of the so called demon known as “Anger” which is experienced by all humans. When a person’s basic boundary is violated (either intentionally or unintentionally), he tends to explode or get angry. Anger is a strong emotional response which is triggered by an incident or talks or behavior. The fights caused between two or more people is a resultant of anger. Couples fight, best friends quarrel, arguments arise in a meeting– All these involve a considerable portion of anger. What do we mean by Anger the Demon? Anger is an internal feeling, but its outburst can be seen externally too. A human being expresses his anger through facial expressions, foul language, postures, body languages, gestures, aggression, rude acts, etc. Anger is mostly considered as a negative trait and persons who get angry easily and frequently are known as short tempered. Anger is detrimental to an individual’s social as well as personal well being. It affects interpersonal relationships, and increases distance between two people. Anger has measurable correlation with physical attributes like increased blood pressure, increased heart beat, hypertension, stress, headache, inability to concentrate, etc. The intensity of anger differs from one individual to another. There are some persons who have intense anger outbursts while others are cool and don’t have feelings of anger easily. However, in today’s hectic and stressful lives, persons with frequent anger outbursts are common. These people are termed as “Hot Headed” as they tend to lose their temper in a matter of seconds. There are few sections of the population who don’t display their anger publicly but are sulky, irritable, rude and socially isolated. They have difficulty in adjusting to an unfavorable situation; have a low tolerance for feelings like frustration. For example, some people get furious if someone else corrects their small mistakes. There can be a number of underlying causes for outbursts of anger in “Hotheaded” people. It can be hereditary, genetic, acquired, psychology or other socio-cultural factors, etc. Some individuals possess this emotional trait of anger right from childhood while others may inculcate anger after facing traumatic incidents in life which can make them short tempered. The family also plays a vital role. Children from disturbed families, emotionally unstable families, chaotic families are bound to be poor in anger management skills. Experts opine that even when people who don’t vent out their anger often, suppress the anger for a considerable time frame, things can get worse. In such cases, people tend to damage their own health and spoil relationships with their near ones as well as with society. Such type of people behave in an aggressive manner, remain aloof of their surroundings, speaks sarcastically, hurts other people around them, not ready to help others, not eager to have conversation with anyone, etc. Rightly said that every problem comes with a solution! 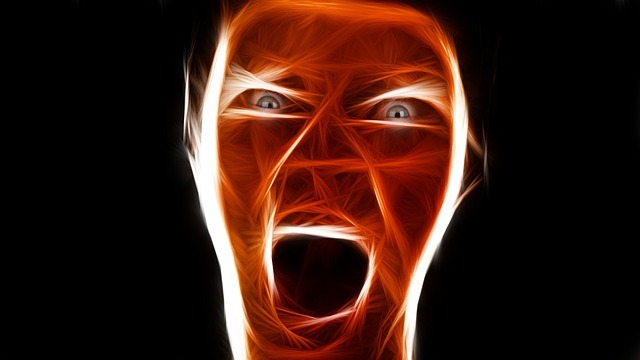 As anger is considered to be a serious problem in today’s world, often a threat to the smooth functioning of life, there are techniques to effectively handle the issue. The set of good practices which is helpful in controlling anger by developing necessary skills is known as Anger Management. The basic concept of Anger Management lies in the identification of the underlying cause of feelings of anger in order to address it properly. The target audience may be students, working professionals, unemployed youths etc. who need assistance in effective management of the anger and frustration while they are involved in handling excessive academic pressure, anger problems associated with high expectations at workplaces, unable to find suitable jobs and so on. Mood Swing– It is an emotional state which is a side effect of anger. When mood swings are maximized, they can also turn into violent outbursts of anger. The person loses any interest in work and is unable to take any decisions. Hostility– This is an emotional situation where a person gives least or no response to external stimulus. He refuses to help or listen to anyone. This is also a side effect caused due to the feelings of anger. Aggression– This is the ultimate outcome of the anger developing within us. In this situation, an individual tends to cause harm or destruction to people or property. There are several wrong facts about anger known as Myths. They are commonly believed notions about anger and its expression. These myths are widespread beliefs followed by a majority of people. Myth 1- Holding on anger is not good for health and venting out is a good way of relaxation. Truth– Though it is true that anger should be expressed and not stored inside. However, aggressive methods of venting out anger should be avoided as it leads to confrontations between people. Myth 2- The advantage of my aggression fetches me respect, attention and obedience from others. Truth– People should not be influenced by undue aggression. Instead other person’s point of view should be taken care of. By showing aggression to people, the concerned person loses respect, and may also get along. Truth– Like every other emotion, anger can also be kept under control by own will and determination. One needs to analyze the situation from all viewpoints in order to avoid misunderstandings. Myth 4- One should always suppress anger within himself and avoid any outburst of anger. Truth– Though it is true that anger should not be vented out abruptly, but it is equally true that it should not be suppressed inside. It should be expressed, but in a calm manner which is non-violent. In fact, this is the very essence of Anger Management. Chronic anger that is frequent anger attacks for a prolonged period is known to have serious ill effects on health (both short term and long term). Anger can adversely affect one’s physical health, personal life, interpersonal relationships and social life too. Anger leads to a low self esteem, loss of mental peace, feelings of guilt, bitterness in relationships etc. Having anger issues for a fairly long period of time results in physical exertion which leads to health issues like heart attacks, hypertension, headache, insomnia, loss of appetite, diabetes, high blood pressure, lack of concentration. It affects the overall well being of an individual. When a person gets angry frequently, it means that he is repeatedly analyzing the facts of the event which in turn means that he is using a lot of mental energy in doing so. Due to prolonged loss of mental energy, the person slowly loses the power of decision making and the ability to judge something. Various mental disorders follow like stress, suicidal tendencies, lack of sleep, depression, frustration, jealousy, loneliness and so on. Some persons are unable to accept differences in opinions and are unable to hear constructive criticism. They usually vent out their anger aggressively in front of others. It leads to negative reputation among colleagues as well as friends who may isolate him for his temper. A person has many relationships in life like relationships with parents, siblings, spouses, children, friends and so on. Venting out of anger often among near and dear ones is often treated as rude behavior which may prevent the person from socializing among his own community. Frequent outburst of anger in front of a child terrifies him and casts a permanent scar on his mind. Physical Symptoms- Excessive Sweating, Stiff Muscles, Rapid breathing, Rapid Heart Beat etc. Aggressive Behavioral Symptoms- Throwing objects, crying, screaming, shouting, slamming doors, arguing, punching pillows, kicking walls, punching glass, push someone, slap someone etc. Lifestyle Symptoms- Excessive smoking, excessive intake of alcohol, consumption of drugs, suicidal activities (in extreme cases). In December 2010, scientists discovered a specific anger gene known as HTR2B. This gene causes a violent outburst of anger in humans and is the underlying cause of impulsive behavior. Younger people are more frequently angry than adults as they experience pressures of time, economic hardships and various conflicts. Less educated people vents out their anger, often aggressively due to lack of education. People from financially weak backgrounds express anger more often. Such types of behavior are exhibited often by women and young adults. A powerful model used worldwide for anger management strategies is known as A-B-C-D model. It was proposed by Albert Ellis to provide therapeutic care to patients suffering from excessive anger outbursts. ACTIVATION AGENT- The things that stimulates feelings of anger. BELIEVING- The interpretation of the activation agent from the victim’s viewpoint. CONSEQUENCES- This includes the reactions/actions after one’s belief. DISPUTE- This is the basis of Anger Management. It involves cross checking with beliefs already figured out whether they are actually real or just an outcome of over thinking. You are driving your car and somebody overtook you by slightly colliding with your car. You can feel that your muscles have become stiff, heart thumping more, vision is getting blurred, sweating more, feeling like slapping that person. In this situation, you can make yourself understood by statements like “ May be he was having some medical emergency, that is the reason for his rash driving”. “If you try to dispute your anger causing belief with rational self understanding, it dilutes your anger and you become cool and considerate.” Everyone should try this model at least once!! Express of anger in a calm manner– It is natural to be angry sometimes, but the particular anger should be expressed in a calm manner without hurting the sentiments of other persons. Organize thoughts before speaking– It is always advisable to collect and organize your thoughts before speaking. Enjoy yourself– One should always allocate some time to oneself and engage in physical activities or hobbies which gives mental satisfaction and enjoyment. Analyzing problems– Whenever a situation comes which make a person angry, then the situation must be analyzed with a cool mind and steps needed to cool down the anger. Maintaining silence– Whenever one gets angry, it should be kept in mind that one should concentrate on choosing his words carefully or not to speak at all. Give preferences to “I” statements– Always emphasize on “I” statements rather than “U” statements. For example, “I am waiting for you” rather than “You have kept me waiting”. Use humor– Whenever you are getting angry, try using some humor or fun to lighten up the situation. Stop expecting too much– One should stop grudging always. It is really unrealistic to set up expectations which make a person perform accordingly as per your guidelines. If you forget and forgive a person’s deeds, then it has already flushed out all your negative emotions from your body. Engage in relaxing– Everyone should engage in practicing deep-breathing, meditation, yoga, exercises, listening to music in day to day life. Ask for help when needed– One should always consult a professional or counselor if the anger attacks are violent and frequent. So, it is clearly evident that dealing with anger is a particular human emotion, which is alright till a certain limit, but becomes detrimental once it crosses the limit. Every human being who has been affected by the so called demon of anger should take an active role in controlling it and slowly curing it. This small step can go a long way in shaping your own life in a better way.